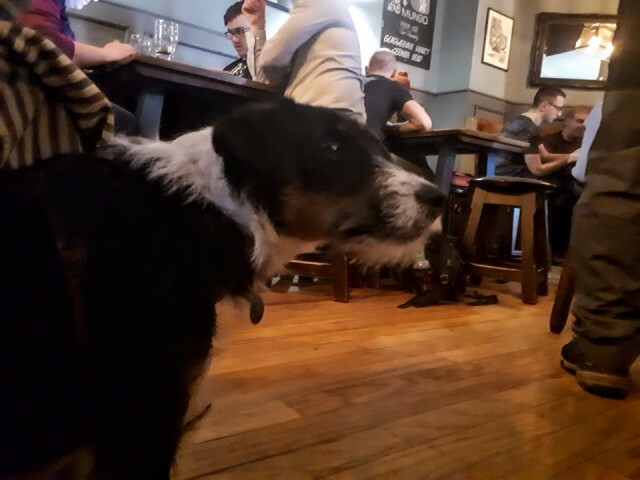 This dog probably found it quite boring at the pub quiz as it just has to sit well behaved and gets no attention. Not in my usual team, tonight. I have a friend in another team and I've been a lucky charm for them. Both times I have been in their team they've won.